While gas prices plummet and the United States becomes the world's largest energy producer, green activists succeeded in banning hydraulic fracturing that make it all possible in the same town where it was born: Denton, Texas. North of Dallas, Denton is a bedroom community where residents live a suburban life with tract homes and SUVs. 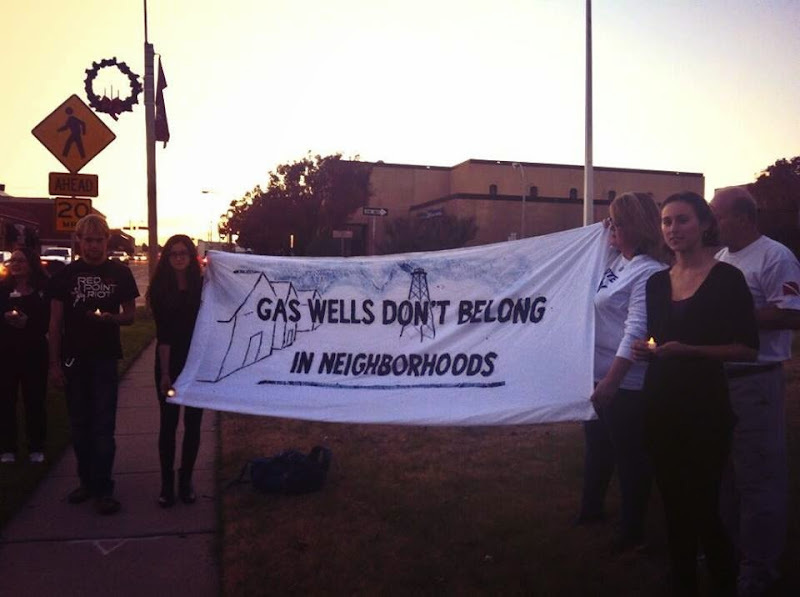 Green activists with Frack Free Denton found a chance to ally their plans to ban a procedure they see as polluting, with suburban residents who endure large heavy trucks, noise, low water levels, and constant dirt and sand thrown into the air from trucks who transport sand and water to the drilling sites. 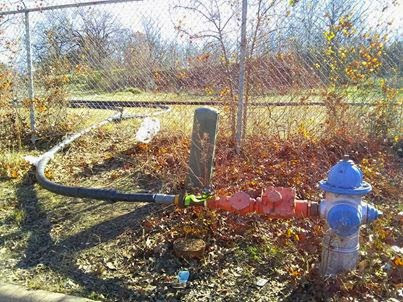 There are no complaints in Denton concerning ground-water contamination that activists claim could happen because of hydraulic fracturing. Hydraulic fracturing involves pumping large amounts of water, sand and chemicals deep into the ground where the pressure cracks the rock, allowing trapped oil and gas to seep through it where it can be captured. Many of the fracturing sites appear in areas where oil wells went dry decades ago. 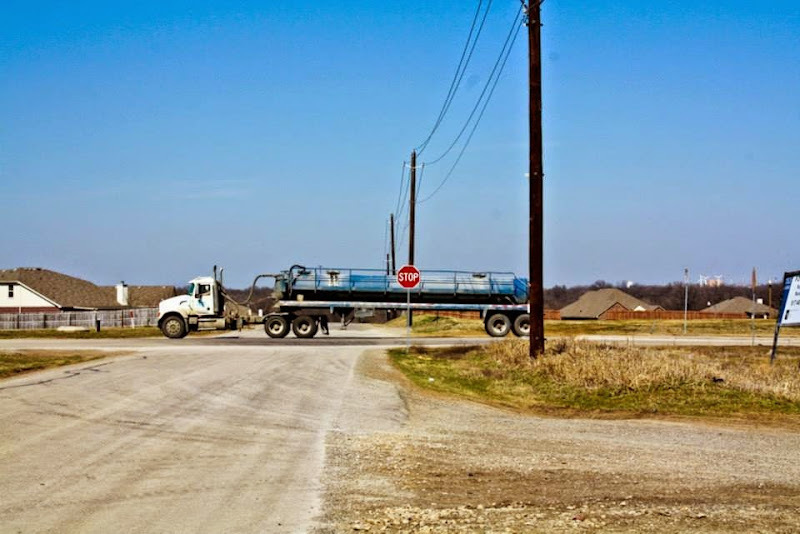 With hydraulic fracturing changing the economic landscape across the US, and especially Texas, state and local governments are watching the situation in Denton carefully. Texas Railroad Commissioner David Porter, Texas's energy regulator, called for the local ordinance to be tossed out by the court. Porters said bans on "information instead of science and fact potentially threaten this energy renaissance and as a result, the well-being of all Texans." Thomas Phillips, a former member of the Supreme Court of Texas who now works with the state's largest energy lobby, told reporters that a ban on hydraulic fracturing is inconsistent with state law. Although hydraulic fracturing was invented in Denton by engineers with . Exxon Mobil's XTO unit, nearly all of Texas' oil output exists in the Eagle Ford and Permian fields in south and west Texas. While Denton's ban will not impact Texas oil production, it is the first local government to ban the procedure in the state. The oil and gas industry is nervous because green activists succeeded to pass their ban by allying with neighborhood quality of living concerns such as noise and heavy truck traffic. Other local initiatives to ban fracturing across the United States, including California and Ohio, have failed. 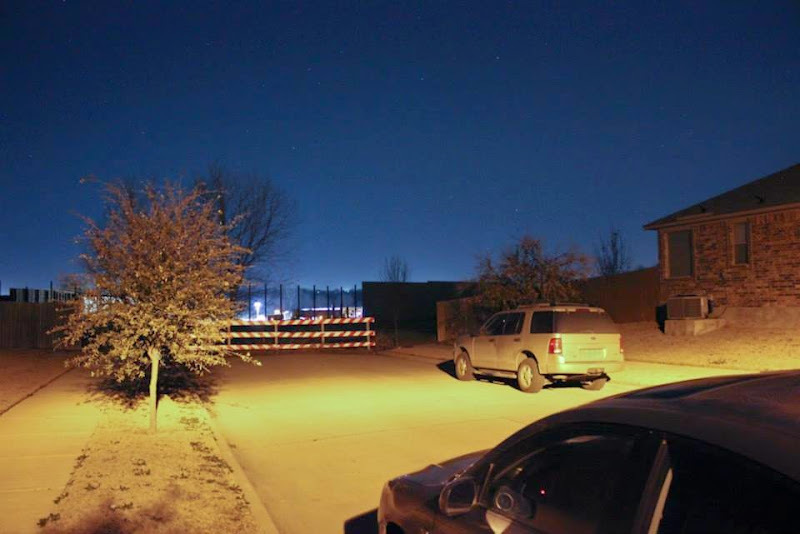 Officials in Denton say they plan to fight the state in court to protect their new ordinance.